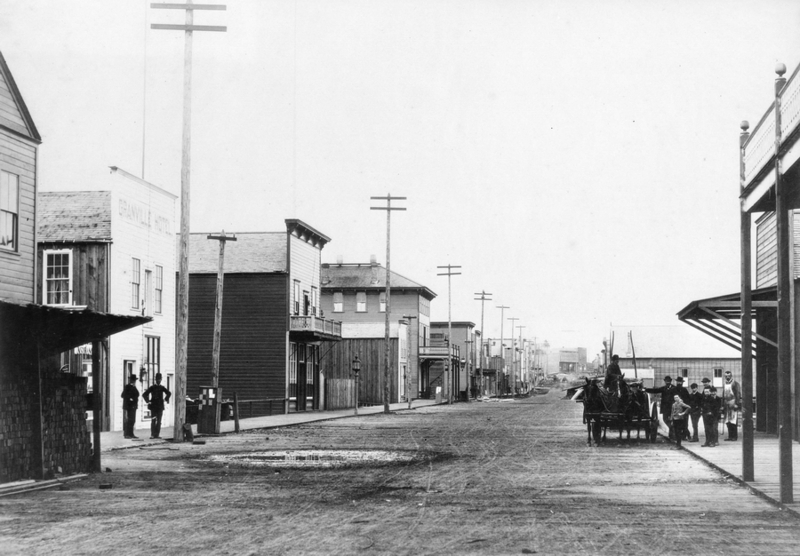 The first hotel at this location was built by Ebenezer Brown, a wine merchant in New Westminster, and it was originally named the Granville Hotel (after Granville Townsite to the east of here) in the 1860s. He sold it to Joe Mannion and Billy Jones in 1874, and in about 1879 it was rebuilt. Mannion ran it for several years, and the published history says it was then sold on to Tom Cyrs in 1886 (although Cyrs was running it for several years before this, and at least one source suggests the sale was earlier). Cyrs lost the structure when it burned down with the rest of the city, but he quickly had it rebuilt (that’s the new wooden building on the left with the gentlemen in the bowler hats in front, in 1887). The street directory for 1888 shows that R Campbell was proprietor of the Granville, and Tom Cyrs wasn’t in town (although he was listed as owning the hotel in 1887), so he may have briefly left Vancouver. In 1889 Tom Cyrs is once again shown owning the Granville, and T Roberts is listed as a bartender a situation that continues through to 1891, where the census for that year reveals that Thomas Roberts was a 17-year-old bartender living with his uncle, Thomas Cyrs, a hotel keeper (with Mrs Cyrs, an adopted son, Arthur and Mary Roberts, Thomas’s sister). In 1892 both men are listed as proprietor of the Granville. 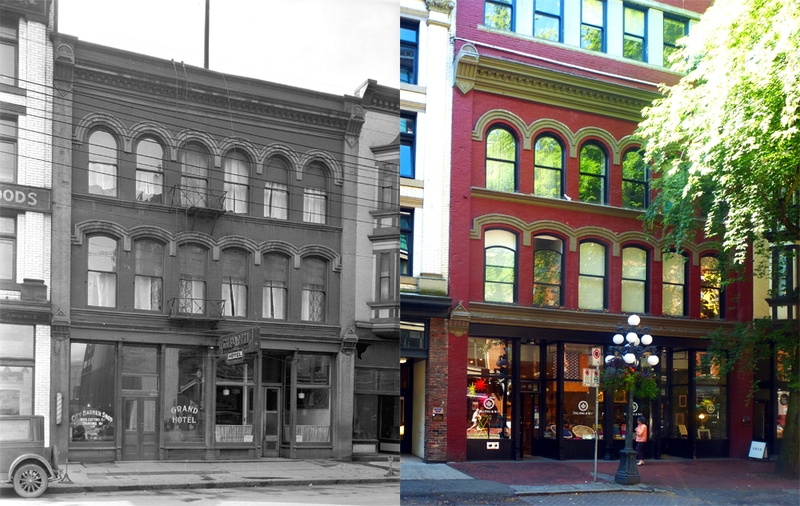 The ‘official’ version of the building’s history says Cyrs sold the hotel in 1889 to Thomas Roberts. When we calculated Mr. Roberts age, that seemed a little unlikely. Born in 1874, he was 13 when he arrived in the city, and would have been aged 15 on acquiring the hotel. If our estimate is correct, Thomas Joseph (‘Tommy’) Roberts was still only 18 when he became joint owner of the Granville. Both men are listed as proprietors until 1896; in 1897 Thomas Cyrs moved to a house on Dufferin Street and Thomas Roberts became listed as sole proprietor (at the age of 23). This situation prevailed through the early 1900s, although Thomas Cyrs is still shown as a ‘hotel keeper’ – but no hotel is listed, and the Granville continues to be identified with Thomas Roberts. The owner, (we assume Thomas Cyrs), had N S Hoffar redesign the hotel as a brick structure, although he retained the Granville name, in 1889. Initially it operated as a reasonably small hotel with ancillary space at the rear (likely the stables); the 1901 census shows 25-year-old Thomas Roberts as head of the household of 33 boarders (many from Ontario, some from England and some from the USA, a couple from New Brunswick and George StGeorge from Quebec). There were four live-in staff (a bartender, clerk, chambermaid and domestic) and his 19-year-old sister, Emily Roberts. The architect of the hotel extension appeared for the first time in the street Directory in 1903, living in the Granville Hotel. 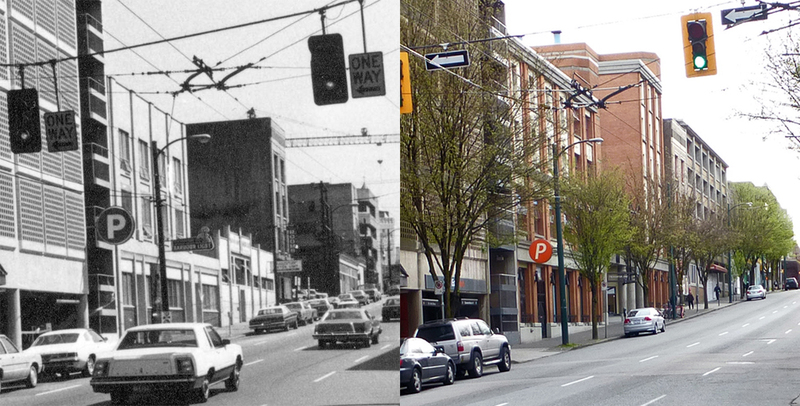 He was still there a year later, with an office on Hastings. 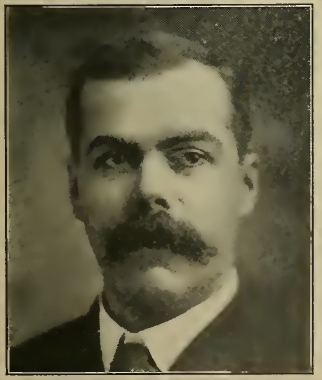 Thomas Bracken lived in the same lodgings for those same years, but had gone by 1905. Richard H Bracken continued to live in the same hotel until 1910 when he seems to have been working for Seattle architect E W Houghton, who designed a number of projects in the city including a theatre. In 1911 Bracken was living in West Vancouver, aged 34, and we know from that census he was born in England. We don’t know what work he was doing as we can’t decipher the census clerk’s handwriting – but it doesn’t look like it was architect. 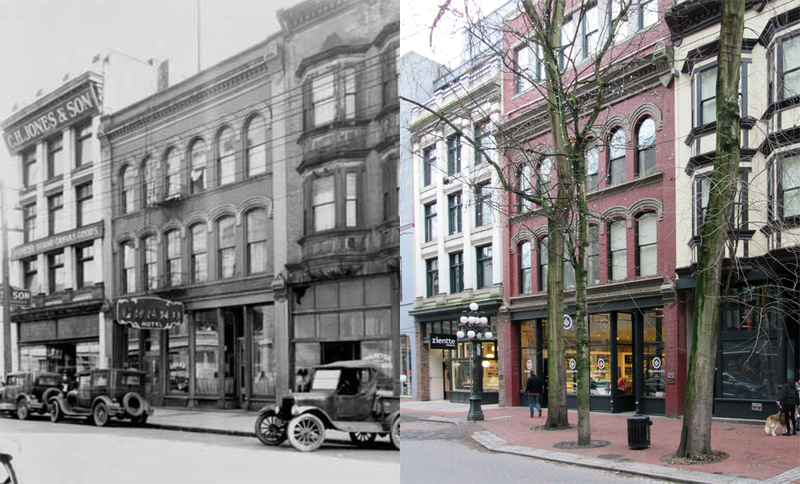 Tommy Roberts owned and operated the hotel for many years, and invested in other real estate including the Roberts Block on West Pender Street in 1908 and the building adjacent to the Grand (now known as the Cordage – to the left in the photo) in 1911 (designed by Hugh Braunton and built at a cost of $48,000). Roberts died suddenly at age forty-two in 1918, murdered in the West End with another man when a masked bandit attempted to hold-up a poker game. The Grand soldiered on for many years; our main image shows it in 1929, but the upper floors were effectively abandoned by the 1970s (as this image from around 1970 suggests). In 2008 Acton Ostry designed the rehabilitation of the facades and extra density above and behind three of the four buildings on this part of Water Street, including the Grand, with condos over retail uses (the Grand getting one extra brick-faced floor).